Finally. I finally settled down with this tragic true crime story and it's one I won't soon forget. While there were pieces here and there I didn't care for, In Cold Blood is simplistic and terrifying, sharing an alarming and unsettling story set amidst cornfields and blue sky America in the late 1950s. Perhaps this is when the phrase "it could happen here, it could happen anywhere" was first born. In a small section of rural America, a prominent family, the Clutters, well-known and liked in Holcomb, Kansas were brutally cut down and murdered in their own home. Two killers used a shotgun and killed all four of the family members one night in 1959, and left with almost no trace. Within the first few pages, it's clear why this book is a classic in the true crime category - while in some moments there is a small sense of pomp and glorified grandeur similar to other books in its genre, it feels like it's only on the top. Deep below that, the dark story of a ruthless crime steers left and right, bringing you immediately to whom the killers are and to the officers following the trail to capture them. It is an unbelievable story, and so beautifully written. Capote maintains this sincere polish of writing, so pure and thorough that the contents of it all, the meaningless act, the victims, sat with me for weeks. It is a disturbing night, truly harrowing final hours for this family and what happens after: the difficult attempts to understand just why they were so remorselessly executed, the search for the killers, the killers' backgrounds, and more. This is unquestionably one of the premiere and integral books to set the stage for the true crime genre. And I loved the way Capote told the tale, I do. I simply wanted more about the Clutter family, equal amounts of the sweet and strong husband, the ailing wife, the young Nancy at sixteen-years-old who loved animals and had a high school sweetheart who worshiped the ground she walked on, and just as young Kenyon, at only fifteen-years-old who was making a chest for one of his older sisters as a present. 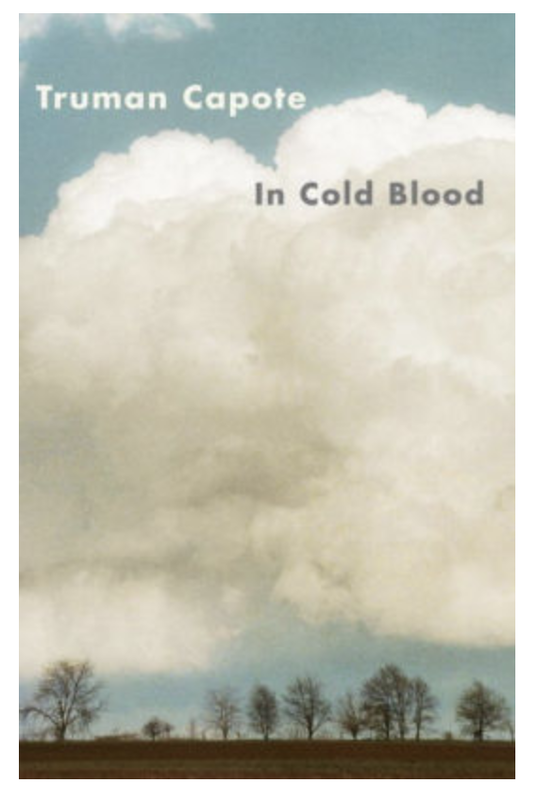 While I am as fascinated as any other true crime reader on exactly what compels a murderer and why they ultimately conduct the act, In Cold Blood lacked in its tender and loving detail and description of the Clutter family. It felt almost, dare I say, obligatory, the inserted sections of Herb, Bonnie, Nancy, and Kenyon. I found myself sickeningly sad for the two murderers at one point. Of course, each criminal usually has a severely horrible upbringing, but I was upset that I was reading in slight empathy for the criminals, when I felt an almost absent connection to the Clutters. It took me Googling away to uncover more of the details of the family, the older sisters, or Nancy's boyfriend, to find the pieces that made them the whole of who they were together, and it was then that I felt the respect for the loving family, more than the book offered. 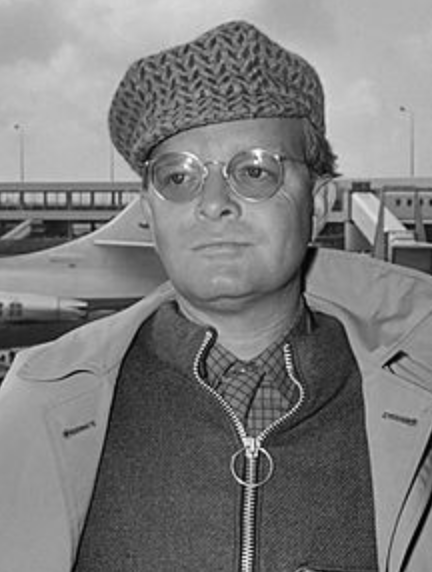 I did read that there will be a Netflix documentary soon entitled Cold Blooded, and it is supposed to fill that gap on Capote's family insight. Another article I read alluded to the Clutter family not being very welcoming to Capote, finding him to be jumping on the story just to make money. It's understandable why they would feel that way. I would imagine it might not have felt very decent for the older sisters to discuss their family, so soon after the tragedy. 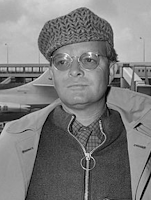 Instead, Capote focused on the killers, which was detailed, shocking, saddening, and thoughtfully written. There might never be a true understanding on why the killers did what they did, but Capote was able to address the very real issue that there is a reason why some grow up to do what they do. It is frightening how easily led a person can be, and how easily corrupted a person can become. Without a doubt, this will be one of my top favorite true crime stories. It's so extraordinarily written, a story told so well, that it's no surprise that after almost fifty years since its publication, it understandably known as the best true crime book of all time.